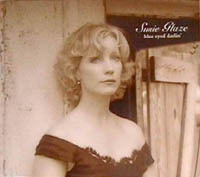 "Blue Eyed Darlin'" Winner Of 2006 Just Plain Folks Music Award for Best Roots Album! "'Blue Eyed Darlin' is a wonderful collection of contemporary bluegrass music from an important voice on the California Bluegrass scene." Click HERE to purchase songs from iTunes!